Find our cheapest flights to Gold Coast from Auckland, Wellington, Christchurch, and Queenstown. There's a lot more to the Gold Coast than Surfers Paradise. This sparkling stretch of Queensland serves up more variety than you'd ever think possible. If Australian cities are siblings then the Gold Coast is the adventurous youngest child - a mecca of adrenaline-fuelled experiences, world-class surf breaks and one of the largest shopping malls in the country, all wrapped around 70km of talcum-powder beaches. And because this chunk of southern Queensland enjoys 300 days of sunshine a year, there's ample opportunity to get outside and enjoy it. Unsurprisingly, water is the fuel that powers Australia's sixth largest city - from famous surf spots such as Burleigh Heads and Snapper Rocks, where every March the Quicksilver Pro Gold Coast is held, to the spectacular cobweb of canals, more than Venice and Amsterdam combined, which criss-cross five main rivers, as well as numerous creeks and lakes. When you can drag yourself away from the water, the Gold Coast will literally take your breath away with its rides which range from white-knuckle experiences to educational fun. Check out the Corroboree experience at Dreamworld, which brings to life the heritage, culture, wildlife and stories of the Aboriginal people, while excitement junkies should strap themselves in for the DC Rivals HyperCoaster at Movie World, the tallest, longest and fastest roller-coaster in the Southern Hemisphere. 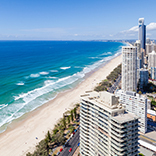 All that action will build up an appetite but the Gold Coast will feed you in style. With access to some of Australia's freshest seafood and produce, as well as a diverse range of cuisines to choose from and a plethora of outdoor venues that work well with the relaxed lifestyle, you won't go home hungry. And when you need to give the credit card a workout, the Gold Coast will come to the party with everything from high end stores and dazzling shopping centres to local markets which showcase local designers. It may be famous for its sun-kissed beaches and hair-raising theme parks, but scratch the Gold Coast's surface and you'll find plenty of reasons to keep coming back. 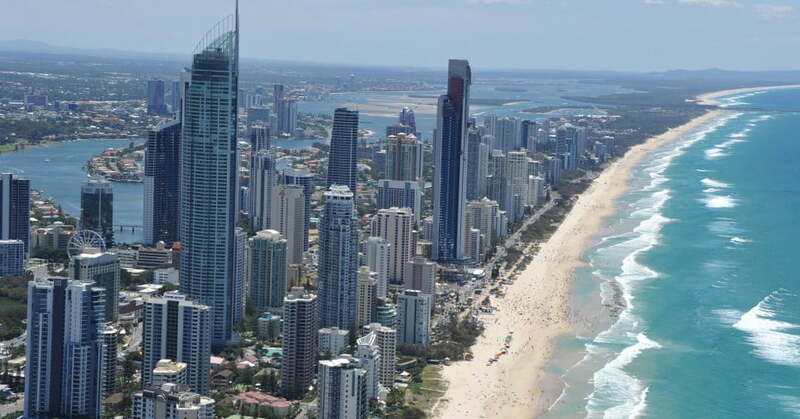 It's always a good time to visit the Gold Coast though you might want to avoid high summer if you don't like heat and humidity. Most travellers choose autumn, winter or spring. This will depend on your tastes and what you want to do. As a rough guide, not including air travel and hotels, you should allow about AUD $150 to $200 a day per person for food and entertainment. There are no mandatory vaccinations required for visitors to Australia. All visitors to Australia must obtain a visa before they arrive. The only exception is for New Zealand citizens, provided they meet specific health and good character requirements. To find out more, check out the handy visa finder on the Australian Department of Immigration and Border Protection website. Air New Zealand has been named the 'Best Airline in the World' in the latest Condé Nast Readers' Choice Awards for its innovative and customer-focused travel offerings. Read about the Best Airline of the World award.